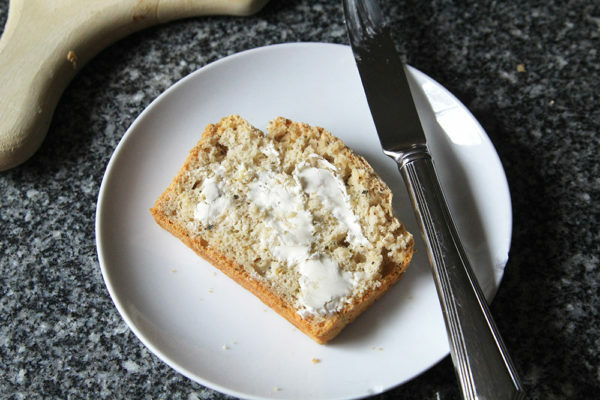 Filled with herbs and garlic, this loaf of no-knead bread is easy to make and delightful to enjoy with a smear of butter. When I was working on The Super Easy 5-Ingredient Cookbook, I realized how special self-rising flour is. 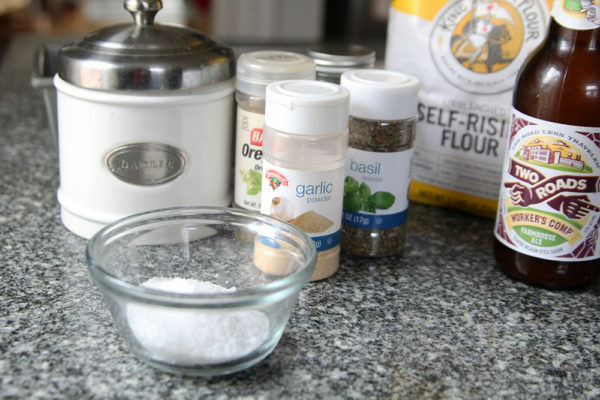 It combines baking powder, salt and all-purpose flour, which means you need only add something carbonated to transform it into a rising dough for bread. In that book, I use it in several recipes including a cider bread. I’m always thinking up new ways to use it. 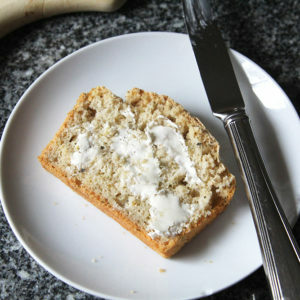 Like in this bread recipe: Garlic Herb No-Knead Bread. It’s a garlicky bread with herb undertones that’s delightfully savory. 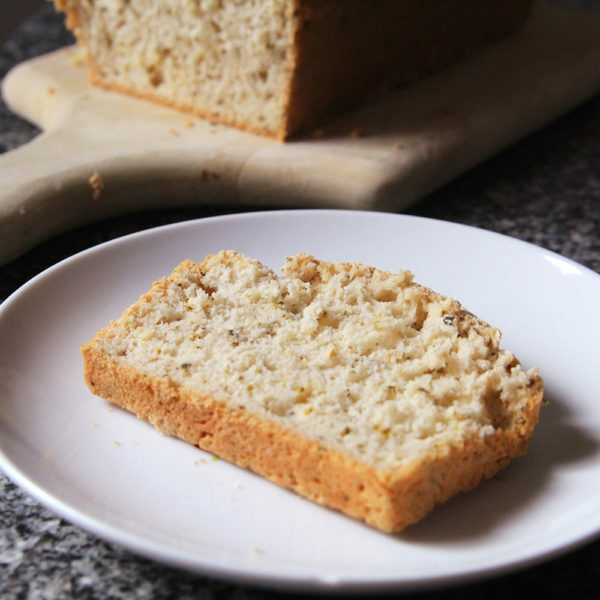 This light and springy loaf is made with self-rising flour, herbs and garlic (in both powder and raw form for added flavor!) plus some salt (again, for flavor) and a good beer. For my latest loaf, I used Worker’s Comp from Two Roads Brewing in Stratford, Connecticut. 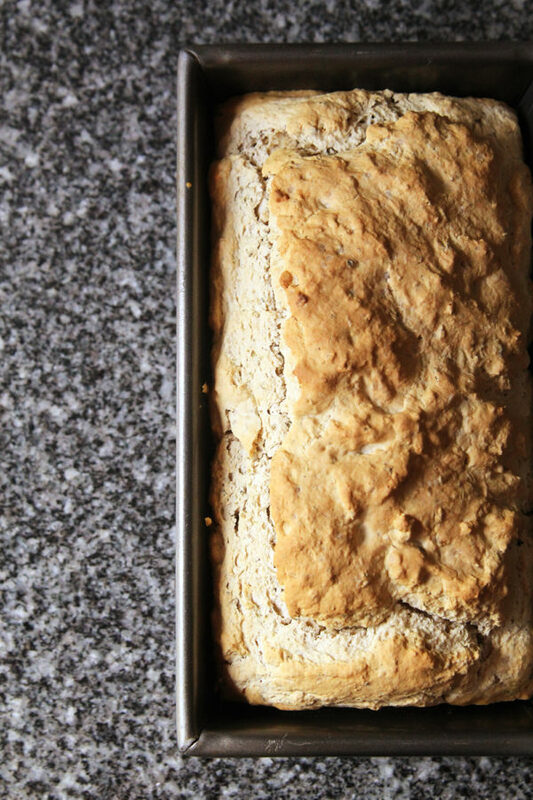 It’s light and refreshing — perfect for this bread. You start by sifting together the dry ingredients and the garlic. Then add the beer and stir it gently, taking care to thoroughly mix it. The dough should be sticky. 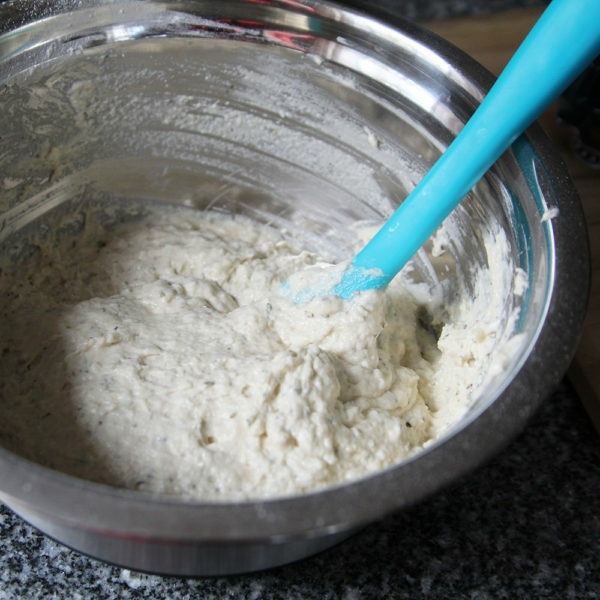 Then transfer that dough to a greased loaf pan and spread it out with a rubber spatula. Now it’s ready to bake. And then enjoy it. A spread of butter across the bread will make it just perfect. Seriously, this couldn’t be easier. It takes a mere 10 minutes to stir together the ingredients for this recipe and get it into the oven. It cooks for about an hour and then it’s ready to enjoy (I usually let it cool down a bit though). Just think of all you can do with that hands-off time — Knit, wash the dishes, wrap presents, read a book, rewatch Beverly Hills 90210, whatever. I won’t judge. Preheat the oven to 375 degrees. Spray an 8 1/2-inch loaf pan with cooking oil spray. Set aside. 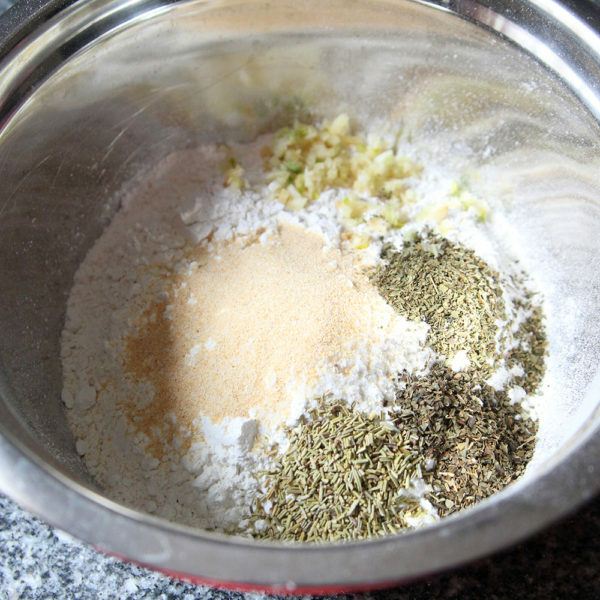 In a large bowl, sift together the flour, salt, basil, oregano, rosemary, garlic powder and garlic. 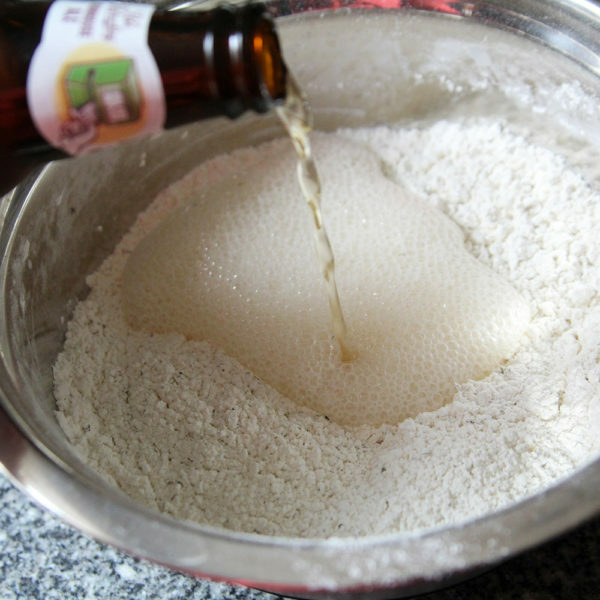 Stir in the beer until a sticky dough forms. 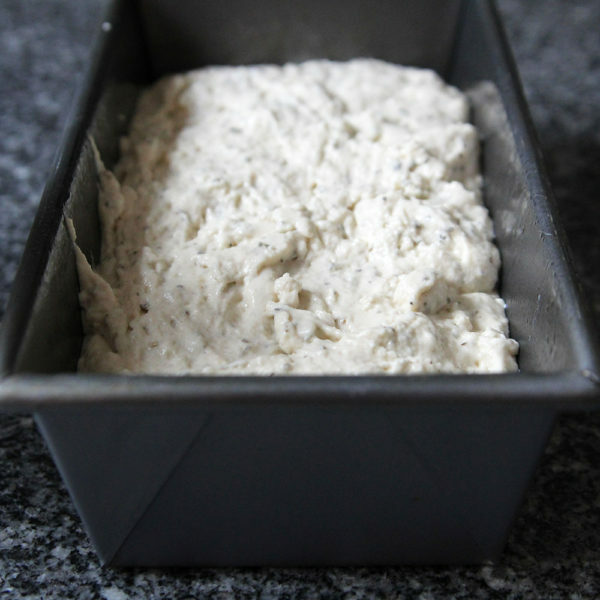 Transfer the dough to the prepared loaf pan. Use a rubber spatula to make sure you get it all, and then gently flatten it in the pan. Bake for 45-55 minutes, until golden and cooked through. Cool for 10 minutes before removing from the pan. Don’t want to use beer (or don’t have any)? You can substitute 12oz of seltzer water or club soda in this recipe. 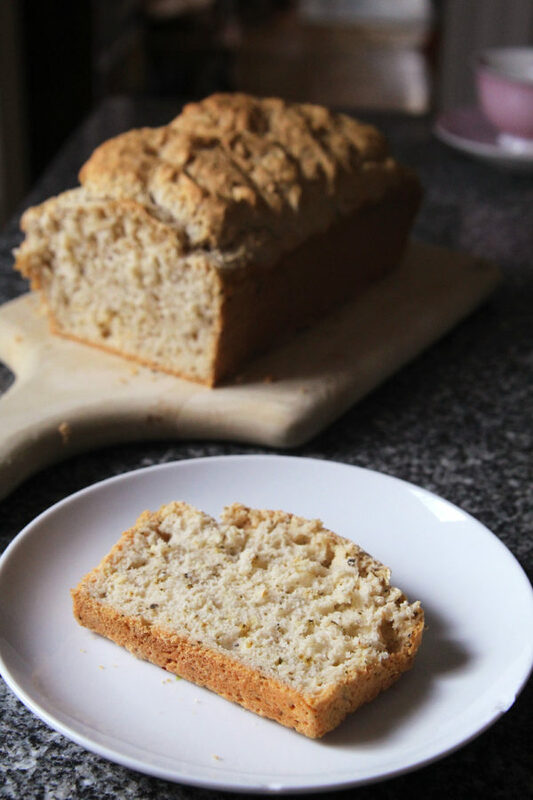 I adore savory quick breads like this! 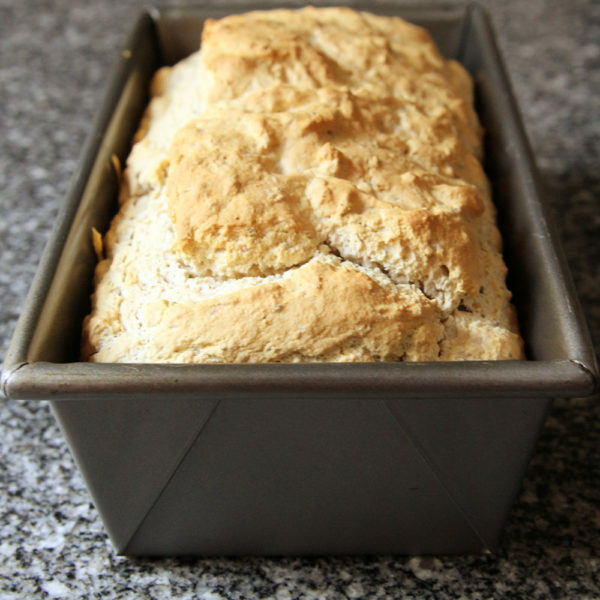 Thanks with this easy recipe, I don’t need to lug the bread machine out of the cabinet if I don’t want too! These seems like the perfect accompaniment to a bowl of veggie soup!